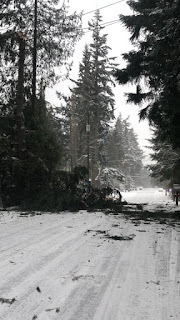 Update 10:37am A reader reports that a tree came down and a transformer blew on 8th NW and 203rd - so you can fill in the gap between Richmond Beach and Hillwood, because it's out too. While I was writing this article, my lights flickered. 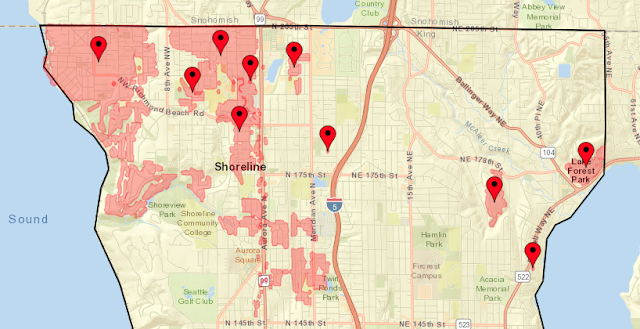 When I went back to the outage map, Richmond Beach and Innis Arden had lost power. Hillwood neighborhood appears to be almost completely in the dark Monday morning, along with a large portion of Richmond Highlands along Aurora. Each is reporting over a thousand customers without power. Richmond Beach and Innis Arden have lost power. The area of Echo Lake between the lake itself and Meridian is out. 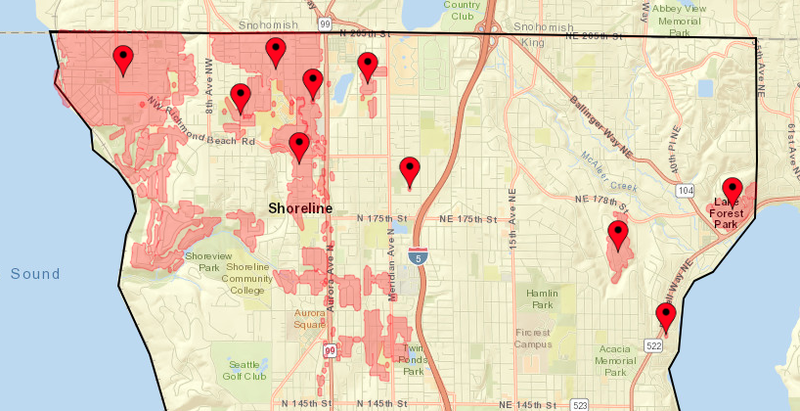 Look at the outages near Twin Ponds - there's a major east-west connection there which is out. Lake Forest Park north of Ballinger is dark. This area rarely goes dark. Most of the smaller areas are about 80 customers. Don't be tempted to go out unless you have to. This weather system covers Puget Sound and a lot of western Washington.